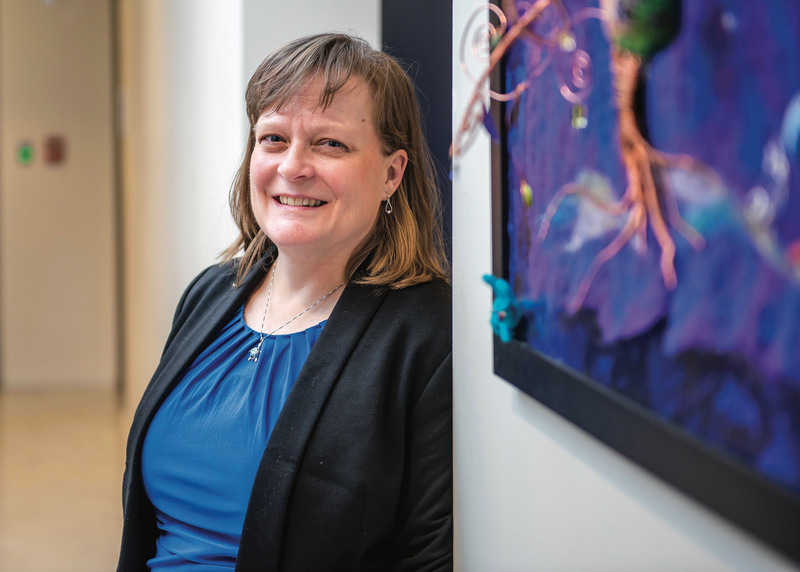 On Jennifer Daniels’ first deployment with the United States Navy in 1998, there were just 10 officers or chiefs who were women and only two who were married, including her. She had the only non-military male spouse, who served as a stay-at-home-dad to their now 16-year-old daughter. Daniels sites the fact that she was able to have a 28-year career in the Navy and still be married for 23 years as one of her biggest accomplishments. “We made it work through all the different deployments and tribulations,” she says. Never afraid to be the first at anything, Daniels continued as a trailblazer and role model throughout her many years of military service. As a naval officer, she was one of the first women to serve as a nuclear engineer, tasked with training young sailors to run the Navy’s nuclear power plants aboard the ship. She later transferred to the highly selective Naval Intelligence Community, where she rose through the ranks to commander, serving honorably in multiple tours aboard ships and ashore. Later, Daniels became the first executive officer (second in command) at an intelligence command at Dam Neck Naval Base and the first woman in that billet. She set the standards for performance and acted as an example to women officers and sailors who served with her. Daniels says it was during this position that she experienced her greatest success—establishing a new command. Because of her performance, Daniels was formally recognized by the Navy Intelligence Community and awarded the Rear Admiral Edwin T. Layton Award for Leadership and Mentorship. The award was established in 2001 by the director of Navy Intelligence to recognize outstanding leadership and mentorship in the furtherance of Naval Intelligence performance. When she joined the military in the early ’90s, women were not yet allowed in combat roles. Daniels says so much has changed since then, opportunity has expanded, and she’s noticed so much more respect for females. Daniels recently retired from the Navy and now works at KAB Laboratories in Suffolk, providing managerial and analytical expertise to the Navy and making improvements in surveillance and reconnaissance, one of the most highly technical and classified fields. Outside of her demanding career, she also finds time to volunteer as a bookkeeper at her church, Saint John the Apostle, as well as organize a travel program for the Girl Scouts of the Colonial Coast. Daniels says that whenever she struggles with believing in herself, she has to take a step back and reflect on her accomplishments. “If you go into something with confidence or at least appear you are confident you get a much better result,” she says. She attributes her success to never being afraid of hard work and also personal integrity. 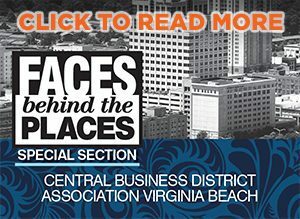 CoVa BIZ is “networking in print.” A place to meet the business personalities in Coastal Virginia, to be inspired by their successes and to learn from their missteps. Developed by VistaIMS | Powered by Vistagraphics, Inc.